The day after a mourning community said last goodbyes to eight of 20 victims of a limousine crash the Senate’s top Democrat called on federal regulators to formulate new safety standards for the vehicles. AMSTERDAM, N.Y. (AP) — The day after a mourning community said last goodbyes to eight of 20 victims of a limousine crash — four sisters and four other relatives — the Senate’s top Democrat called on federal regulators to formulate new safety standards for the vehicles. Sen. Chuck Schumer on Sunday pointed to glaring gaps in safety data and singled out the National Transportation Safety Board, which he said hasn’t thoroughly investigated a limousine crash in three years. His criticism comes a week after the stretch limo loaded with 18 people on their way to a birthday party for one of the occupants ran a stop sign and crashed at the bottom of a hill in the town of Schoharie. Everyone in the limo died, including the four sisters, along with two pedestrians. At a news conference, he called on the NTSB to investigate every stretch limo crash that has occurred in the U.S. and use the data to make recommendations for safety standards that would then have to be implemented by the National Highway Transportation Safety Administration. 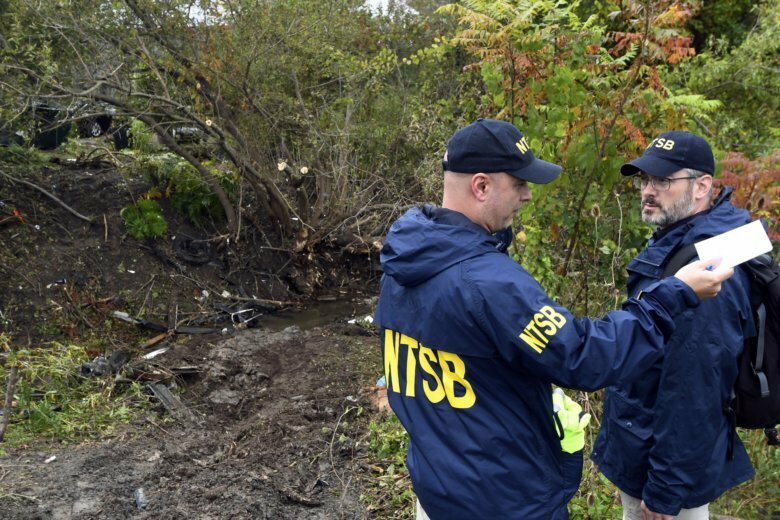 The NTSB — charged by Congress to conduct independent probes and make safety recommendations — agreed to investigate limo crashes on a case-by-case basis after a 2015 wreck that killed four women on New York’s Long Island. But since then, Schumer said, multiple crashes should have been investigated and would have netted “critical safety data” about the structure and safety components of limousines. Federal crash data compiled by The Associated Press shows there were seven limo crashes in 2015 and two in 2016. Factory-built limousines must meet stringent safety regulations. But luxury cars converted to limos, like the one in last week’s crash, often lack such safety components as side-impact air bags, reinforced rollover protection bars and accessible emergency exits. Few federal regulations govern limos modified after leaving the factory, and regulations often vary by state. Eric Weiss, a spokesman for the NTSB, declined to comment. Hundreds of mourners and the presiding pastor, the Rev. O. Robert DeMartinis, also sought answers Saturday at a church in Amsterdam at the funeral for Allison King; sister Abigail Jackson and her husband, Adam Jackson; sister Mary Dyson and her husband Robert Dyson; sister Amy Steenburg and her husband Axel Steenburg; and Steenburg’s older brother, Richard Steenburg. DeMartinis officiated in June at the wedding of Amy and Axel Steenburg. It was Amy’s birthday that was being celebrated at the time of the crash. While authorities continue to investigate the cause that wreck, New York prosecutors have charged the operator of the limousine company, Nauman Hussain, with criminally negligent homicide, saying he allowed an improperly licensed driver to operate an “unserviceable” vehicle. Hussain has pleaded not guilty and has declined to comment on the crash. Balsamo reported from Washington. Associated Press journalists Julie Walker and Michael R. Sisak in New York contributed.